160 years later, this much sought after stamp have been reproduced in the finest detail by Pobjoy Mint Ltd on behalf of the Government of the British Virgin Islands. 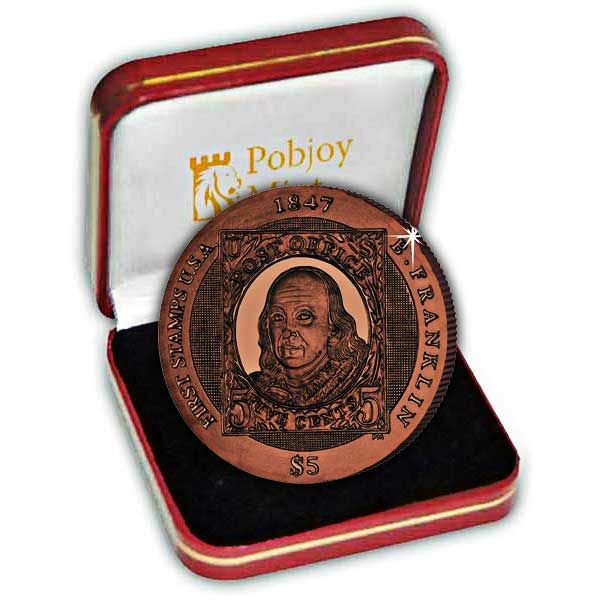 It was in 1990 that the craftsmen of Pobjoy reproduced the Penny Black on a coin of the Isle of Man and quite rightly won no fewer than three International Coin of the Year Awards for this ground breaking piece which, by a special Pobjoy process was coloured black. Since then, issued coins have depicted some of the rarest and most collectable of all stamps, the Mauritius 2d Blue, the British Guiana 1c and the Western Australia Inverted Swan, the latest coin being produced for BVI in coloured Titanium. Due to the difficulty of striking titanium, the metal is as strong as steel but 45% lighter, each coin in this series is truly exclusive as no two titanium coins are exactly the same. Each collector's coin also features a lined effect that is present as a result of the unmistakeable qualities of titanium. 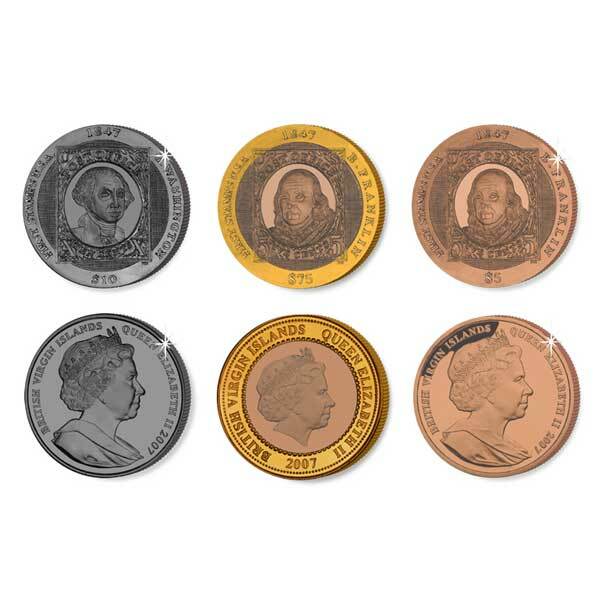 Approved by Buckingham Palace the obverse of each coin carries a fine effigy of Her Majesty Queen Elizabeth II by Ian Rank-Broadley FRBS FSNAD and each precious metal coin has been struck four times to achieve the lustrous Pobjoy Proof finish.